Bed bugs continue to plague our nation as more people are encountering them. The biggest problem we are up against is “infestations” that have grown beyond a simple do-it-yourself or DIY Bed Bug containment process.Can people use do-it-yourself (DIY) treatment options if they find bed bugs early? It depends on whether you practice proper ways to eliminate them and not use methods used for other types of insects. For years we have been educating people on finding signs of bed bugs BEFORE an infestation can build. Unfortunately, there are those people who are not affected by the bites of bed bugs and do not realize the problem until a full-scale infestation has built. The calls from people that are literally blindsided by the fact that they have them, encompass a good amount of months of self-treatment attempts that have failed. From spray-on chemicals to bed bug bombs, these people have exhausted attempts of elimination because they think treating for bedbugs is like any other bug or insect. They could not be more wrong! Dealing with bed bugs is so different from ants, fleas or cockroaches and has to be addressed correctly. You have to know the nature of the bug, where they hide, the telltale signs they leave, their life cycle stages of development, reproduction, how they spread, dispersal habits and the correct process of eliminating them and much more. If a person has bed bugs for the length of time of let us say six months, it is then that (with regular blood meals, correct temperatures and humidity), that they start to grow exponentially, spread and become serious breeding grounds. Unless dealt with by a professional at this time it will be a fruitless attempt by an uneducated homeowner. Our focus is to educate all that we can to acknowledge early signs of bed bugs before this happens. If you are experiencing mysterious bites, you must inspect for the biting culprit to determine “if” it is bed bugs you are dealing with. Inspect all areas that bed bugs could be hiding. Unless you know the nature of the bug this may not be an area where you would be successful. In early stages, even trained bed bug professionals have a hard time finding all areas of concern. Bringing in a professional bed bug dog detection service can be the single smartest thing you can do to pinpoint areas of concern. 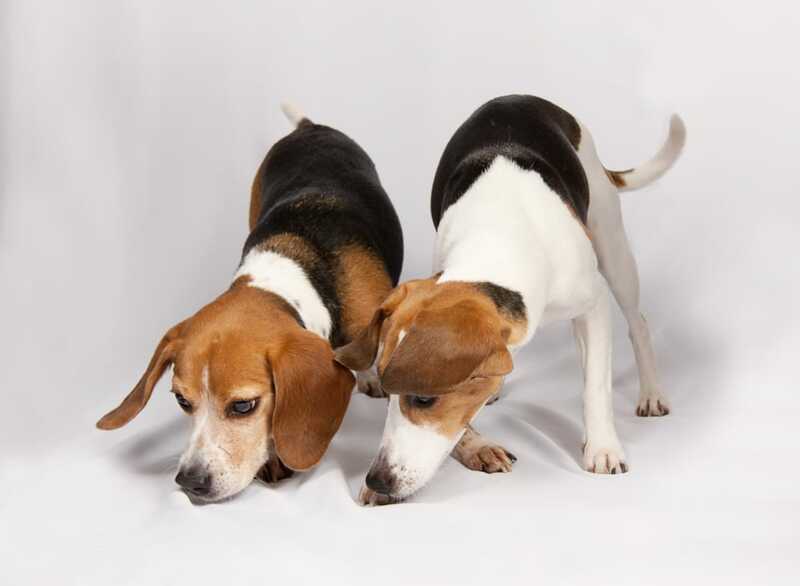 Although not 100% all the time, (nothing in life is), these dogs’ remarkable olfactory ability can find the scent of bed bugs down to a single bug or a cluster of eggs and show you areas where bed bugs are hiding. Good luck beating that with DIY bed bug tactics. If you live in a multi-unit complex, where you share walls between your dwelling and others, immediately contact property management and notify them of the possible problem. The source of the bed bugs may be from an adjoining unit. Do not attempt to do-it-yourself, because “if” the source is from another unit, all your efforts will be fruitless. For homeowners, if it is determined that bed bugs are the problem and is contained to only a single bedroom, you now know that you must take action in order to avoid the spreading of them. You can do either two things, call in a professional to treat or attempt to do-it-yourself. In introduction stages of bed bugs where they have not dispersed outside of the bed, a process of vacuuming, steaming and heat-treating all bedding, the addition of good mattress encasements and a thorough cleaning of furniture may be the only thing warranted. However, be aware that, if you leave one single female behind to lay eggs, you will start all over again. It isn’t as simple as you think because you need to determine where you could have gotten bed bugs and if you are subject to it happening again. Re-introduction of bed bugs is a common occurrence with some people. Some people are at higher risk for picking up bed bugs because of their vocation. I.e. social workers, emergency personnel, hospital and doctor personnel, taxis and public transportation workers, truckers and delivery people and so on. Anyone who works in an environment where many people come and go can fall subject to bed bugs at any time. We all have to realize that bed bugs are becoming a way of life and at one time or another we all will have to deal with the possibilities of having them. Take time to learn risk factors, and learn what you can do to prevent from getting them in your living or work environment. Early detection of bed bugs can save you from emotional frustration, lots of your time and money! Contact Mass Bed Bug Busters for professional dog detection and Bedbugdot Early-warning Detection System.